Roaming Thunder has been providing the Fargo area with the finest DJ services for more than 25 years. We understand that each of our clients is unique and deserves an event that showcases that individuality. We’ll never show up and force our idea of a successful evening on you, but will work closely with you to make sure it reflects your vision. However, we are also happy to share ideas that will make your event a success. We love what we do and we’re dedicated to making music the most stress-free part of organizing any occasion! Roaming Thunder is equipped with state-of-the art sound systems and lighting, we know how to have a good time and can help any crowd let their hair down, get out on the floor, and join in the fun. 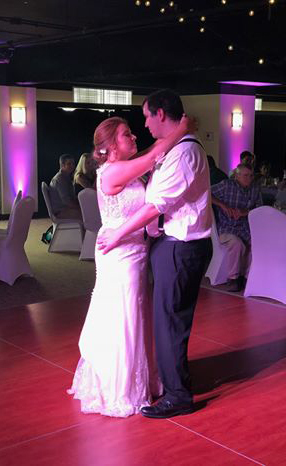 From wedding receptions to parties, dances, community celebrations, or corporate events, our DJs have the talent and experience that encourage participation and will leave guests begging for more. Music and lighting are key factors in your event’s success. As a provider of these services, we are committed to excellence, yet are keenly aware that our clients must stay within budgets. Great music gets them moving, but great lighting sets the mood! 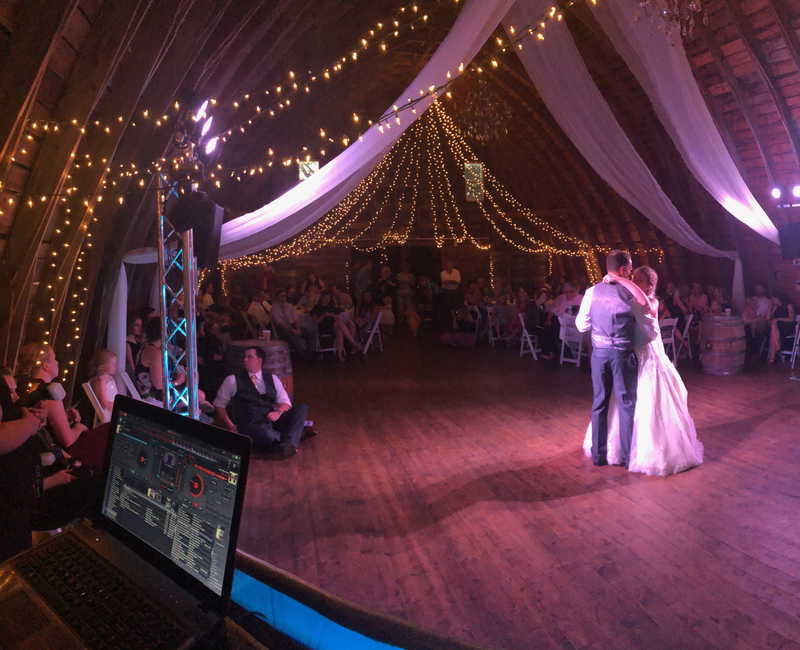 Roaming Thunder’s lighting system will set your wedding, corporate event, school production, dance, graduation party, or any other occasion apart from the rest. 0We have been guests at events that literally come to a standstill due to lame DJ services. That’s why we fully train our disc jockeys, grooming them to host a wide array of events. Any DJ can play music, but the great ones are upbeat, friendly, dedicated to their clients, and are able to quickly gain the trust of guests to get them fully engaged and enjoying themselves, and the people around them. Our DJ is always well-groomed, dressed accordingly, and conduct themselves appropriately. Browse photographic proof of what over 25 years of experience can do for your next get together! Plus, check out our personalized monograms. You wouldn’t hire a caterer without sampling their food, so make sure to browse through our videos to get a sample of what Rolling Thunder has to offer. Contact us to learn more! We have been guests at events that literally come to a standstill due to lame DJ services. That’s why we fully train our disc jockeys, grooming them to host a wide array of events. Any DJ can play music, but the great ones are upbeat, friendly, dedicated to their clients, and are able to quickly gain the trust of guests to get them fully engaged and enjoying themselves, and the people around them. Our DJs are always well-groomed, dressed accordingly, and conduct themselves appropriately.